The Good Food Awards celebrate the kind of food we all want to eat: tasty, authentic and responsibly produced. We grant awards to outstanding American food producers and the farmers who provide their ingredients. We host an annual Awards Ceremony and Marketplace in San Francisco to honor the Good Food Award recipients who push their industries towards craftsmanship and sustainability while enhancing our agricultural landscape and building strong communities. In its seventh year, Good Food Awards will be given to winners in 14 categories: beer, cider, charcuterie, cheese, chocolate, coffee, confections, honey, pantry, pickles, preserves, spirits, oil and our newest category, preserved fish. Awards will be given to producers and their food communities from each of five regions of the U.S. 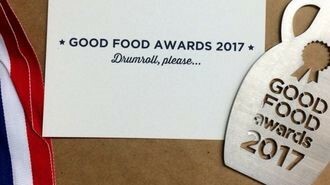 The Good Food Awards Seal, found on winning products, assures consumers they have found something exceptionally delicious which also supports sustainability and social good. There are over 300 unique types of honey in the U.S. The Good Food Awards will showcase honeys most distinctive in clarity and depth of flavor, produced by beekeepers practicing good animal husbandry and social responsibility. 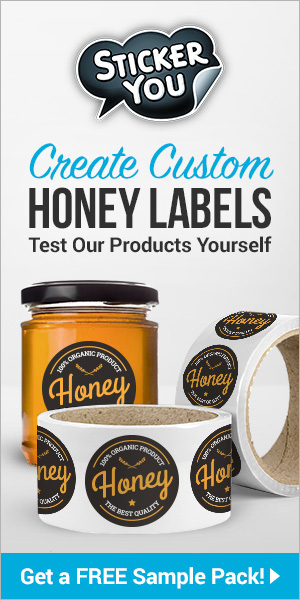 From rooftop urban hives to busy bees pollinating organic orchards and meadows filled with wildflowers, awards will be given out in Liquid & Naturally Crystallized, Creamed, Comb and Infused Honey subcategories. View the full criteria for entry. Amina Harris is the Director of the Honey and Pollination Center at the Robert Mondavi Institute of Wine and Food Science, UC Davis, working to make the school a leading authority on honey bee health, pollination and honey quality. The Center has been involved in the development of many innovative programs from making mead, to bee health and, most recently, the Honey Sensory Experience. Under her direction, the Center published the UC Davis Honey Flavor Wheel, widely acclaimed to help tasters describe honey flavors. In addition, Amina owns Z Specialty Food, LLC with her husband and son. Moon Shine Trading Company, a division of Z Specialty, has been offering unique American varietal honeys for over thirty years and has won awards from the Specialty Food Association and the National Honey Board. Amina served on the Board of Directors of the Specialty Food Association (then NASFT) for six years and was the Winter and Spring Show Committee Chair for many years. During her time both on the Board and exhibiting at the Fancy Food Shows since the early 1980’s, Amina has been an active participant of the ever changing and growing food industry. M.E.A. McNeil is a journalist writing for Bee Culture Magazine and The American Bee Journal as well as the new edition of the seminal reference book The Hive and the Honey Bee. She is a Master Beekeeper and a member of the UC Davis Mondavi Center Honey and Pollination Board. She lives with her husband on a small organic farm in San Anselmo, California. Yuko Suzuki, President, Office Musubi Co. Previous articleCATCH THE BUZZ – New Zealand’s ‘manuka honey season that wasn’t’, but TRUE Manuka Finally identified. Next articleCATCH THE BUZZ – Moving Bees To California? Read This from California Department of Food and Agriculture.